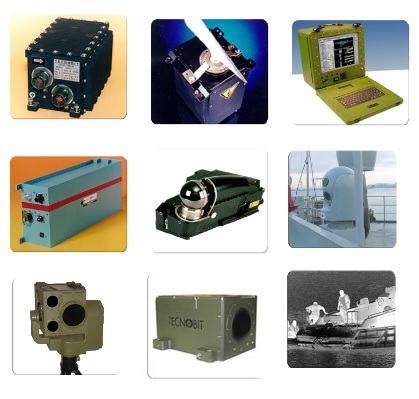 TECNOBIT is a leading company in electronic engineering for more than 30 years and it provides the most advanced technology in the areas of Defence, Security, Space, Telecommunications and Transport. TECNOBIT is ISO 9001; AQAP 2110; AQAP 2210; EN 9100 and ISO 14001 certified. Avionics - TECNOBIT has over 25 years' experience in the design, development, manufacture and production of Avionics systems and equipment. This has led to it being the foremost supplier of own technology in the Spanish market, with critical and non-critical Flight equipment and specific solutions designed to meet the need for integrated on-board systems. Optronics - TECNOBIT offers extensive experience in developing optronics products and systems, including thermal cameras and infrared applications and solutions. Command and Control - In the Command and Control area, the company continues to strengthen its market position by consolidating its leadership position in several technologies such as Tactical Communications, Communications Security, FFT & BMS ("Friendly Force Tracking" & "Battle Management Systems") and in Maintenance Services. Simulation - TECNOBIT currently offers a wide range of training solutions for different aeronautical, naval and terrestrial platforms. It develops all levels of simulators, from Teaching Programmes, Trainers, Simulations and Simulation Centres, up to the Duel Simulators (which are the resources used by the Armed Forces for Teaching, Instructing, Training and Evaluating Personnel and Units).